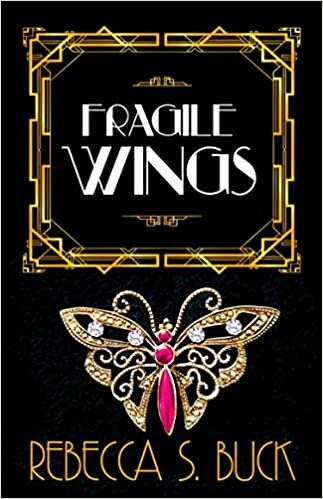 Fragile Wings by Rebecca S. Buck takes us back to the roaring 1920’s via London. This is the story of a country girl who moves to big city to find herself and experience new opportunities. The book is descriptive, picturesque and overall a nicely written novel. The Great War has come to an end and the young people of that time are bound and determined to live life to the fullest. Dancing, drinking, and carousing with other rebel rousers is the name of the game. Evelyn Hopkins is a small town girl from West Coombe. Evelyn has always wanted more from life. She wanted to be educated, but her parents pulled her from school at the age of 14. Her closet friend is her older brother Edward, but he returned from the war shell shocked, badly wounded, and no longer able to communicate. Evie has lost her beloved Eddie even though he was one of the soldiers that made it home. She has an almost desperate need to fly from West Coombe and experience life’s pleasures, but like many women of her time she is held back by her station in life. Until one day, Edward breaks his silence and asks Evie for a favor. He needs her to deliver a letter from a fallen comrade, Frank Grainger, and take his parting note to his twin sister Lilian in London. This gives Evelyn her shot at the adventure she’s been dreaming of. Upon leaving her family home Evelyn runs into a cast of characters all very different from any of the people she knew in West Coombe. These new friends and acquaintances will forever change the the way she views the world. She will experience true friendship, acceptance, betrayal, but best of all, true love. This book is a very nice read. There were a few times it bogged down with an abundance of details and comparisons of cities. I thought the characters were a lively, spirited bunch. I loved their desire to push the limits and live their lives to the fullest. If you like romance with a lot of history built in this may be the book for you.